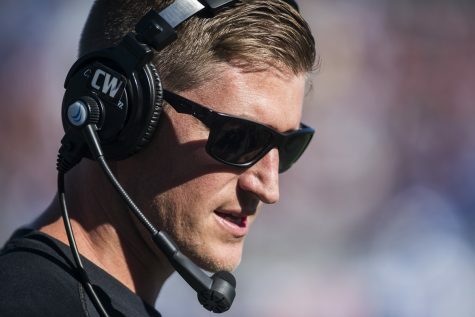 Saluki football coach Nick Hill’s first game at Saluki Stadium will go down as his first win as a head coach. 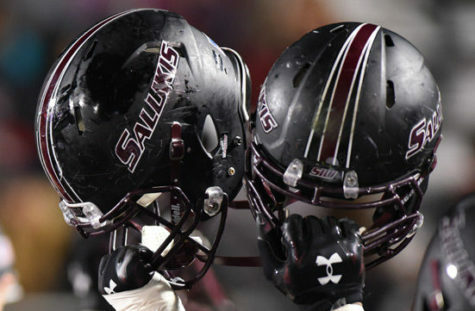 SIU defeated local rival Southeast Missouri 30-22 on Saturday to move to 1-1 on the season. The Dawgs rallied behind a strong third quarter to pull away from the Redhawks, scoring 17 straight points in the period. 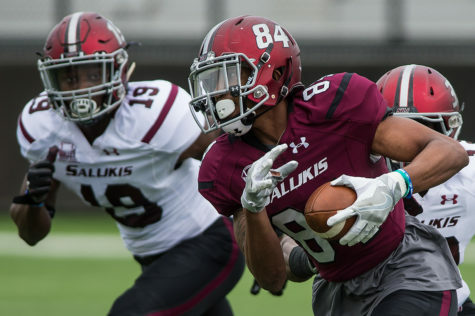 Junior wide receiver Connor Iwema hauled in a 44-yard touchdown pass and freshman corner James Ceasar scored on a 47-yard fumble return to give SIU a 24-9 lead. 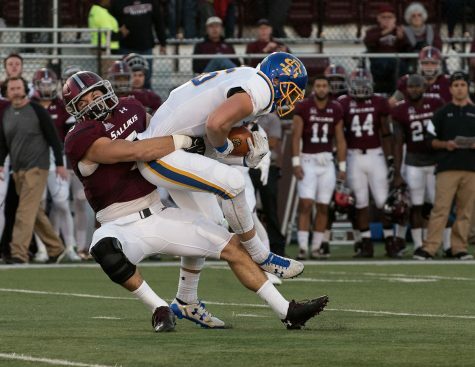 Freshman walk-on kicker Matt Sotiropoulos added a field goal to boost SIU’s lead to 18 by the end of the quarter. Sotiropoulos converted all three of his field goal attempts in place of senior kicker Austin Johnson, who had a field goal blocked and missed an extra point in last week’s loss to Florida Atlantic. After the game, Hill said Sotiropoulos will be the kicker moving forward. 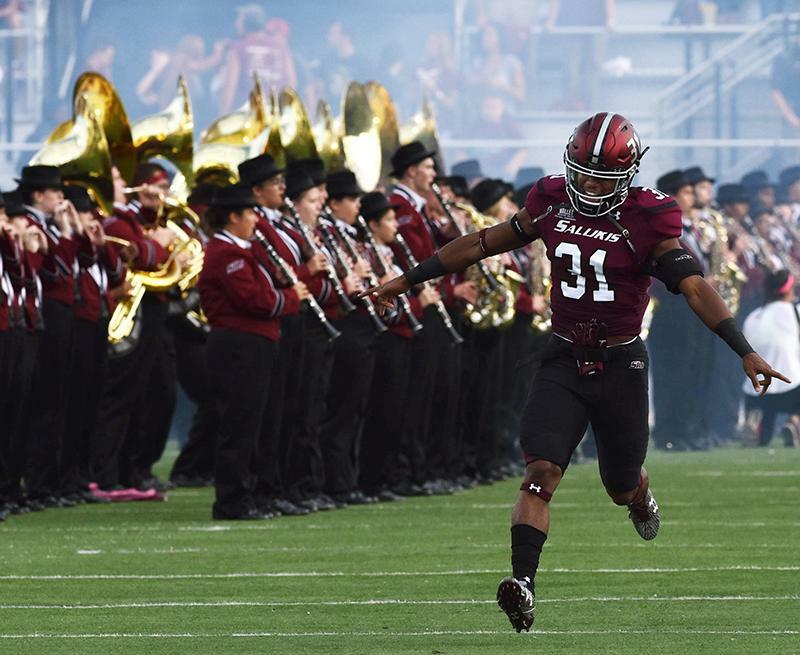 The Salukis’ third quarter came after they stole momentum when sophomore running back Jonathon Mixon scored the game’s first touchdown in the final seconds of the first half to put SIU up 10-9. 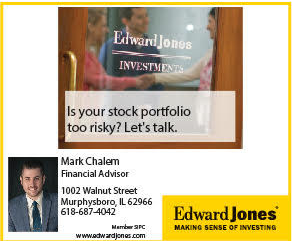 SEMO made the game interesting in the fourth, pulling within eight after a 29-yard touchdown pass by junior quarterback Jesse Hosket to senior wide receiver Darrius Darden-Box. Hosket completed just 17 of his 42 passes with two touchdowns. Ceasar was one of the main Saluki defensive backs to be a thorn in Hosket’s side Saturday, with a game-high three passes broken up in addition to the fumble return for a touchdown. He served his first time in a game in part because the two starting cornerbacks — juniors Roman Tatum and C.J. Jennings — were out because of injuries. Hill called Ceasar’s performance “unbelievable” after the game and said that cornerbacks coach Carl Franks did a good job getting two cornerbacks — Ceasar and junior Craig James — ready for the contest. 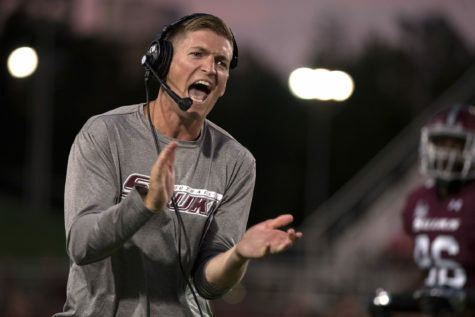 Hosket’s counterpart, senior Saluki quarterback Josh Straughan, completed 16 of his 34 passes for 265 yards with the one touchdown. 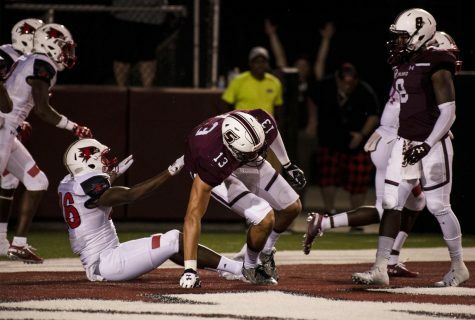 Overall, the Salukis outgained the Redhawks by only eight yards total. 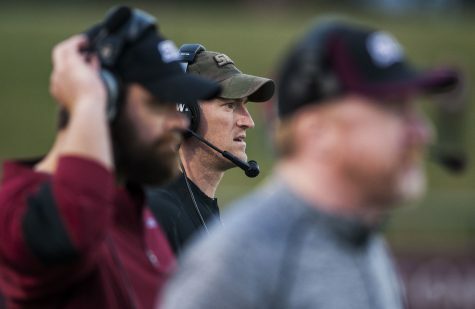 The difference in the game came from SIU’s ability to hang onto the ball. 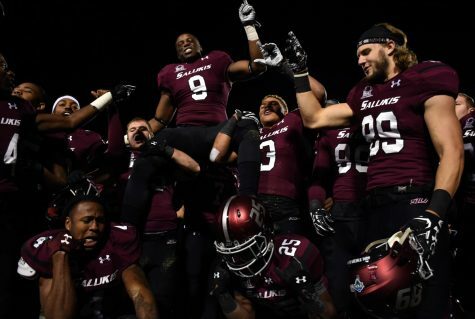 Last season, the Salukis turned the ball over to SEMO seven times. They didn’t turn the ball over once in this season’s matchup. 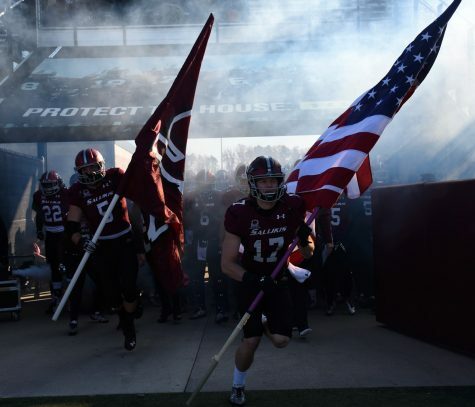 SIU will be back in action at 6 p.m. Saturday to take on Murray State at Saluki Stadium.